Flanked on both sides by the communities of Long Beach and Bay St. Louis in Harrison County, Pass Christian has overcome rough weathers with grace under pressure. Undeniably one of the most resilient communities along the Gulf Coast, Pass Christian encompasses a total area of around 15.3 square miles — that’s more than enough space for a population of around 5,300, according to 2015 estimates. A part of the Gulfport-Biloxi Metropolitan Statistical area, Pass Christian is a lively waterfront community where you can explore dozens upon dozens of shopping, dining, and recreational activities. 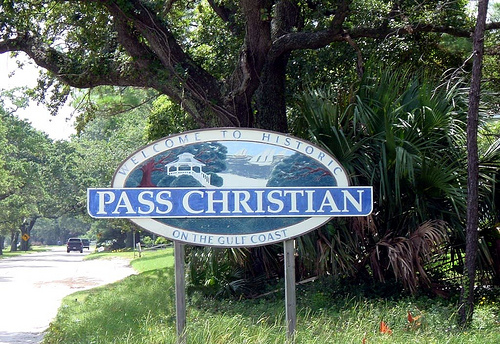 Commonly referred to as “the Pass,” Pass Christian was founded by a group of French-Canadian explorers during the late 17th century. Biloxi, a neighboring settlement, was also just recently established as a French colony prior to the discovery of the Pass. Upon foundation, the settlement was named after a deepwater pass, which in turn, was named after a certain Nicholas Christian L’Adnier. A major event that shaped Pass Christian’s history is the onslaught of Hurricane Camille, one of the strongest hurricanes the country has experienced, in 1969. Around 4 decades later, Hurricane Katrina also inflicted considerable damage in the city. Still, Pass Christian and its locals are resilient and strong. History is well and alive in the Pass, where you can admire well-preserved historic homes and buildings. Life in this city is carefree, casual, and slow-paced, allowing you to make the most of what is handed to you. Small this town may be, but the Pass is also home to a number of local retail shops and restaurants that make this coastal community a must-visit destination, and eventually, a must-stay. Perhaps the easiest way to make friends in Pass Christian is to visit its public beach, where locals gather to admire the scenery and just enjoy a great day out. To get to know more interesting characters, however, the best way is to explore Pass Christian’s plethora of local establishments. Whether you’re craving for Southern comfort food, the freshest catch from the Gulf, or authentic Cajun flavors, the restaurants in Pass Christian has got you covered. Shaggy’s Pass Harbor by the beach is a beloved institution with its kid-friendly atmosphere and great seafood. For oysters and muffuletta, head to Bacchus On The Beach, which also serves delicious cocktails. Pirates Cove is another popular, family-friendly eatery where you can enjoy burgers outdoors. Other favorites in the area include Daddys in the Pass, Hook Gulfcoast and Asian Paradise. Plenty of shops are also scattered throughout Pass Christian. Check out the Main Street, where you’ll find everything you need. For after-dinner drinks, there are plenty of bars located in and around Pass Christian. Shaggy’s Pass Harbor and Bacchus On The Beach transform into nightlife joints come sundown, but if you’re up for a short drive, head to Bay St. Louis and check out The Blind Tiger and Buoys Bar. If you’d like to know more about Pass Christian MS real estate, please contact us to get a free consultation.